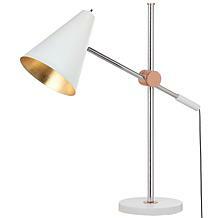 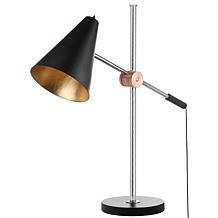 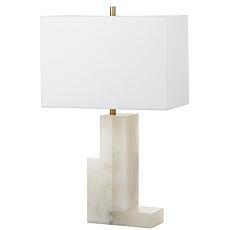 Invite glamour and sophistication to any interior with this contemporary table lamp. 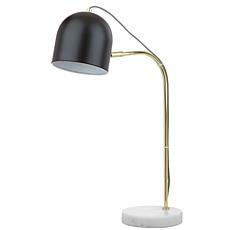 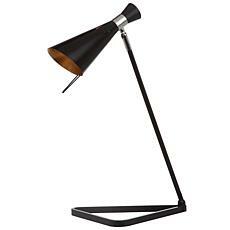 Designed with sleek geometric lines, it creates a vintage-style aura of modern luxury in any living room or home office. 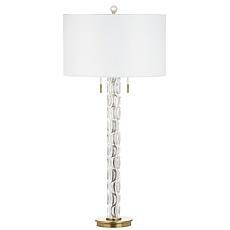 Designers love its posh gold shade interior. 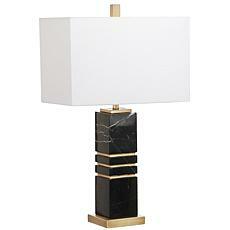 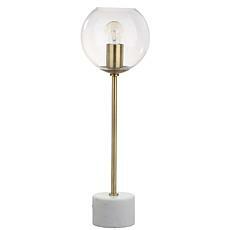 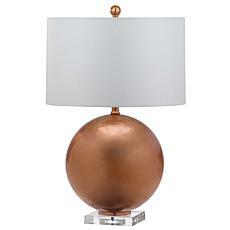 Add a touch of sophistication to your décor with this luxurious contemporary table lamp. 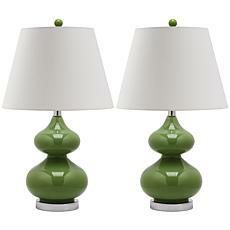 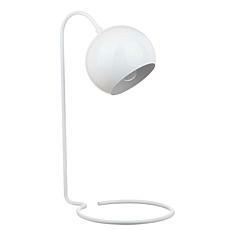 A modern spin on traditional lighting, its monochromatic finish creates a bold silhouette in any living room. 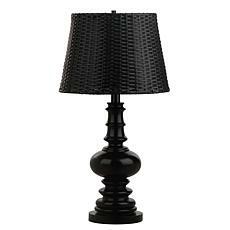 Like a little black dress, its chic design makes it a classic. 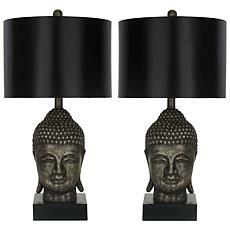 The Zen-chic Golden Buddha table lamp is inspired by the work of the world’s most cutting-edge interior designers and a luxe, contemporary addition to any room. 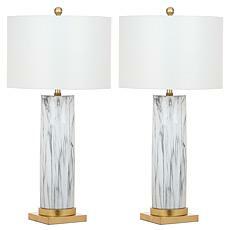 With sculpted dark gold resin bases on museum mounting stands, this pair of lamps has black shades that diffuse an ambient glow.